Grief, Anger Overflow as Families Confront a Silent Lion Air - Integration Through Media ....! 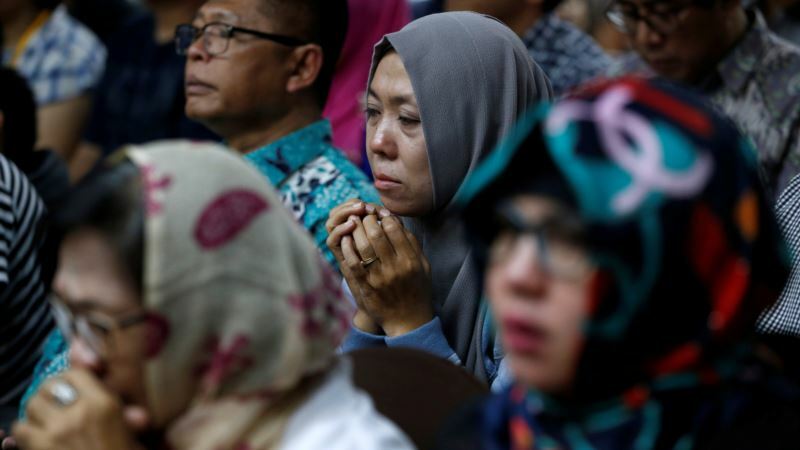 (VOA): Distraught and angry relatives of those killed when a Lion Air jet crashed last week have confronted the airline's co-founder during a meeting Monday arranged by Indonesian officials. Rusdi Kirana, the co-founder, was not invited to speak by Transport Minister Budi Karya Sumadi, who moderated the meeting between relatives and the officials who are overseeing the search effort and accident investigation. The Lion Air jet crashed into the Java Sea on Oct. 29 just 13 minutes after taking off from Jakarta, killing all 189 people on board. “Lion Air has failed,” said a man who identified himself as the father of passenger Shandy Johan Ramadhan, a prosecutor in a district of the island where the flight was headed. Soerjanto Tjahjono, head of the National Transportation Safety Committee, told the meeting that information downloaded from the jet's flight data recorder is consistent with reports that the plane's speed and altitude were erratic. Searchers are still trying to locate the cockpit voice recorder. Relatives questioned why the 2-month-old Boeing 737 MAX 8 plane had been cleared to fly after suffering problems on a previous flight Sunday from Bali to Jakarta. It suffered a rapid descent after takeoff that terrified passengers. “The plane was intact when it plunged to the sea, it did not explode in the air, and the aircraft engine was running when it touched the water at high RPM — it's marked by the loss of all blades of the turbine,'' he said.